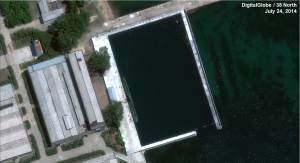 Baloogan Campaign Forum • View topic - New Large DPRK Sub? 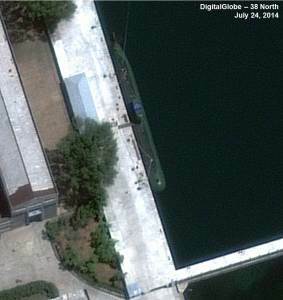 Re: New Large DPRK Sub? Could this be the missile sub they've been talking about? Not tall enough unless they have some weird erector type launch system. 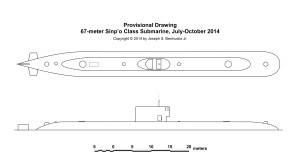 Usually with small sub ballistic missile designs you see as part of the sail. DPRK is really hard to figure out as most major sources are very conservative about what they report. For example if you look at last year's Combat Fleet you don't see a number of platforms that have been photographed by satellite a number of times. Cuba to some extent is treated the same way.